London, UK – 20 March 2018: Awesome Media & Entertainment Ltd. (Awesome), the creative content company founded by writer-producer Jeff Norton has optioned the media rights to debut novel ‘THE LAST WAVE’. Written by award-winning, Bristol-based Gillian Best and published by House of Anansi Press, ‘THE LAST WAVE’ won rave reviews in North America and has become a book club favourite, establishing its author as a bold new voice in literary fiction. Awesome will immediately begin developing ‘THE LAST WAVE’ for television, with Norton and ex BBC Worldwide and ITV Studios executive Fraser Robinson attached as Executive Producers. The deal marks Awesome’s first literary acquisition since taking investment from global content company Kew Media Group. With Kew’s backing, Awesome is ramping up its scripted development of book-based IP. Awesome previously optioned TV rights in Jay Gunn’s cult-hit graphic novel ‘SURFACE TENSION’ and is co-developing that franchise with Wall to Wall Television (part of Warner Bros. UK). 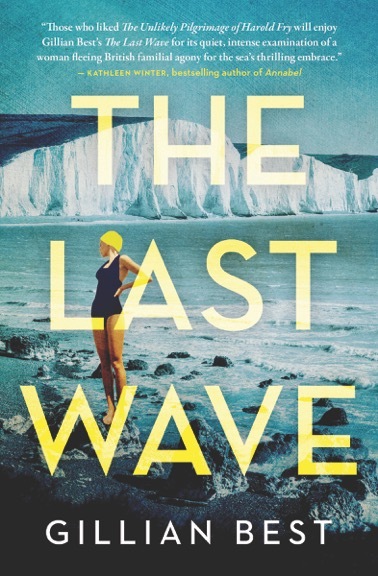 ‘THE LAST WAVE’, set in Dover, U.K., is an intergenerational saga that revolves around the protagonist Martha, (a woman who has swum the English Channel ten times), and the complex relationships she has with her husband, her children, and her close friends. The one constant in Martha’s life is the sea, which provides an allegorical backdrop to three generations of her family. House of Anansi Press, which has published authors including Margaret Atwood and Patrick De Witt, has increasingly become involved in book adaptations: Lisa Moore’s novel ‘CAUGHT’ recently aired on Canada’s CBC as a five part mini-series, and the feature length adaption of Deborah Ellis’ ‘THE BREADWINNER’ was nominated for an Academy Award.